Beautiful 2000 square foot 3 bedroom townhouse on Lake Pontchartrain in Slidell, LA...also known as 'The Little Easy' as it is only 23 minutes from downtown New Orleans, Casinos, Superdome, French Quarter, and Festivals. Golf, restaurants, shopping, deep sea fishing, antique stores, and all amenities are within a five minute drive. Mississippi Gulf Coast Casino Row just 45 minutes away--Little Las Vegas on white sand beaches with big name entertainment, shows and great food. View sunsets over the lake from the large covered front and rear elevated porches and dock your boat or fish from your own deep water boat dock and pier in the back yard. Enjoy the New Orleans experience just across the bridge in historic Slidell with our hometown atmosphere. Great fishing and fresh seafood year round, wonderful restaurants, and lots of activities. Mardi Gras, Christmas and St. Patrick's Day boat parades right in your back yard. Catch beads and party without leaving home! (Parades are the Saturday 2 weeks before each holiday). Come stay and play with us!! Whirlpool tub in both baths. House is on Lake Pontchartrain which leads directly into the Gulf of Mexico in 20-30 minutes. Boat dock with direct lake access via canal. Separate central units upstairs and down.. Covered parking for two cars and extra parking in driveway. Crock pot, blender, kettle, mixer, cookbook. 46' flat screen in living room, 42' in master, televisions and dvd players in all bedrooms. ROKU built into living room tv for your Netflix, HULU, Amazon, Youtube, etc. Board games, puzzles, dominoes, cards. (2) Large covered porches with tables and six chairs on each porch. Private boat dock..boat not included. Launch your boat right down the street and park at your own pier. (3) Large space underneath and nice boat dock. Two large covered balcony porches overlooking the lake and waterway. Golf 5 minutes away. Oak Harbor Club. Property is elevated and first level is on the second floor..second level is on the third floor. Parking is underneath and in driveway. Boat dock in back with docking for two boats..waterway leads directly to open gulf waters in 30 minutes. 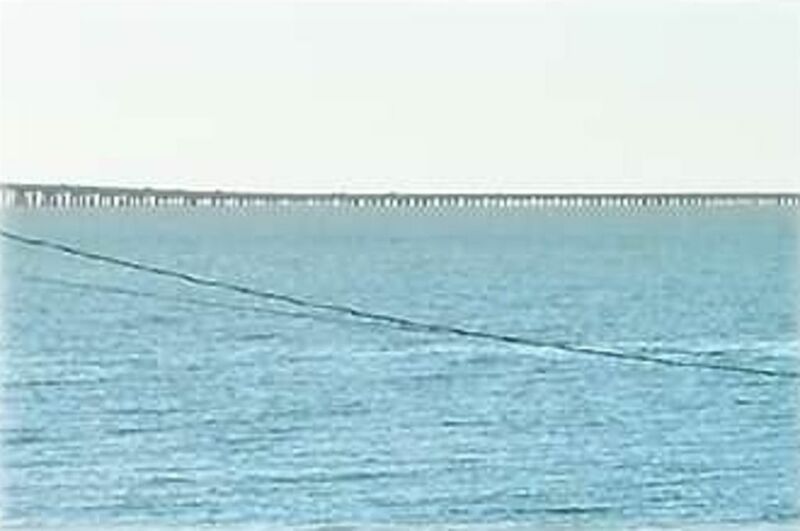 Property is on Lake Pontchartrain which leads directly into the Gulf of Mexico. Two very large porches facing the lake in the front and the waterway in the back. Parking for 4-6 cars. This is not a complex--it is an individually owned townhouse in a very nice lakefront neighborhood on a quiet street. Thank you so much. We enjoyed having you visit. Thanks for leaving everything so nice. Come back any time!! OMG the property is beautiful and relaxing. The owner Ms. Debbie is a joy to work with. I would definitely recommend this house to anyone you will not be disappointed at all. This property will be my first choice when I return to the area. Thanks again Ms. Debbie for being a great hostess and providing our group with awesome suggestions regarding places to eat and shop in the area. She even took the time to mail something I left at the property. A really great experience with this property. Thank you so much! It was a pleasure to have you and are looking forward to having you back in the future. Thanks for leaving everything so nice when you left!! Very nice home, quiet location. Convenient to New Orleans and Biloxi. We stayed for a week and hated to leave it. House was as advertised, and comfortable. Thank you so much for you nice review. It was a pleasure to rent to you guys and hope you come back to stay with us!! I am so glad you enjoyed yourselves. Not only was this property the ideal getaway, the host is fantastic. We were able to enjoy a view of the water from the front and back porch, something we wouldn’t have been able to find in New Orleans. We were a reasonable distance from the city and were able to go to the French quarter every day and even went back for some nights on bourbon st! Slidell also has restaurants with really good food without having to drive into NOLA. Again, our host was great. She communicated well with me before and during our trip, responding quickly to emails and even let us check in early and check out late! Highly recommended, I would definitely book this place in the future! Thank you so much for the nice review. And thanks for leaving every so nice and tidy when you left. I am so glad you enjoyed yourselves and hope you come back in the future!! Owner had everything we could’ve needed available for our stay. Thank you! Thank you so much for your kind review. Thanks for leaving everything so nice. It was really nice communicating with you and I am glad you guys had a good time. Come back soon!! The home was spacious, clean and beautiful view of the water. It was raining weather when we were there but the deck would be a great place to sit for morning coffee and enjoy the view. The home was very comfortable and owner takes care of home and guests. The location is close enough New Orleans for all the excitement of the city and Slidell is a peaceful place to enjoy a family dinner or the water view. The owner gives great recommendations for local places to eat and we enjoyed 2 of them. The instructions are clear for wifi , entry etc. Even in the rain we really enjoyed the stay and hope to come back. Thank you so much for your nice review. I am glad you enjoyed yourselves despite the weather. I am happy that the porches provided you the ability to sit outside when it was raining. I hope you can come back when weather is cooperating. Thanks for leaving everything so nice. On the North Shore of Lake Ponchartrain, Beach, Deep Sea Fishing, Casinos and big ticket entertainment 20 minutes away (45 minutes if Mississippi Gulf Coast). Audubon Zoo, World War Two Museum, Aquarium of the Americas, and so much more in New Orleans 20 minutes away.